In the event of a no deal Brexit, the likelihood of disruptions to our food supply are very high. This will push up food prices and reduce availability of many staple food items, especially fresh and healthy foods, putting them out of reach for many, particularly those most in need. 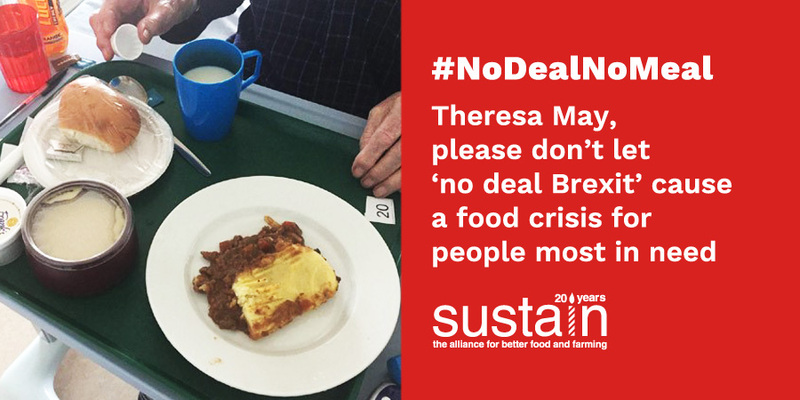 The Government needs to show the public that it is ready and able to prevent vulnerable people falling into hunger as a result of a no deal Brexit. HM Treasury must ring-fence adequate additional money for public sector institutions, frontline charities that feed vulnerable people, and for welfare services to help those on a low income or in precarious jobs. Write to your MP to raise these concerns in Parliament and call on PM Theresa May to act now.